This staggering skyline in “Andalucía” is sure to be one of your favorite sights in Spain. Seville was allegedly founded by our favorite hero, Hercules, and boasts of the perfect mixture of ancient and modern. Sevillanas are known for their sparkling wit and charm, and their city sparkles right alongside them. 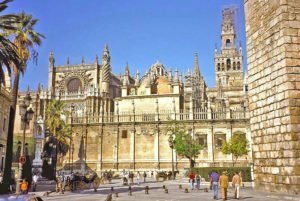 Although legend tells us Seville was founded by Hercules, historians tell us it was founded by Romans during the Tharsis reign. Julius Caesar made Seville a colony during his rule, and later on Arabs took over the area. Although this Arab influence can be seen in Seville, most of it was replaced with Christian architecture when Ferdinand III (the patron saint of Seville) reconquered the city. A tolerant reign was established that allowed the Muslims, Jews, and Christians in the area to coexist and flourish alongside the city. Seville’s history has contributed to it being one of the most radiant cosmopolitans in Spain. 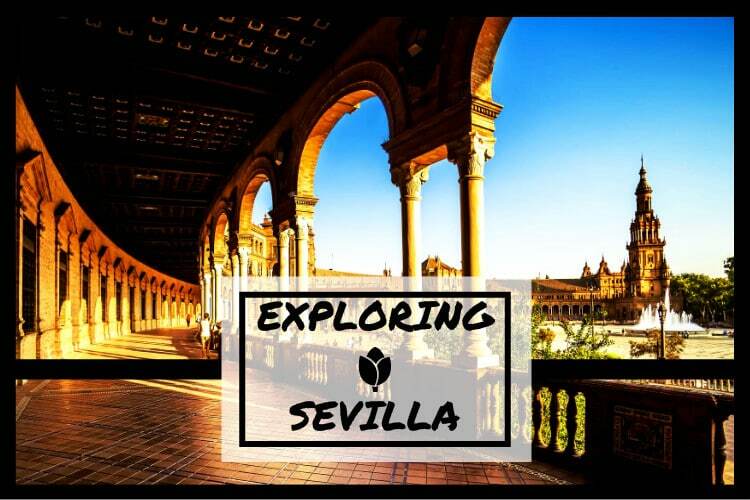 Seville has so much to offer, but we narrowed it down to a few of our favorites. 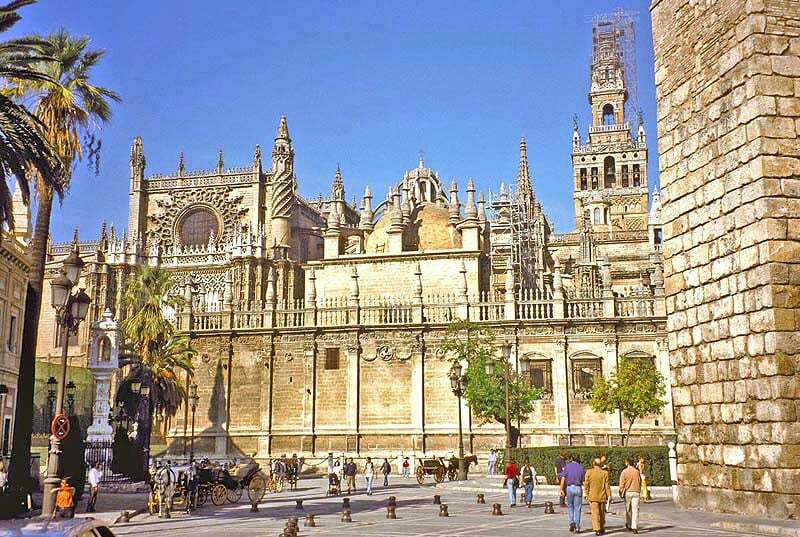 Cathedral and Giralda is the world’s largest cathedral, and is recognized by UNESCO as a World Heritage Site. The Cathedral displays moorish influence and its grandeur is breathtaking to behold. Alcazar similarly is a moorish palace recognized by UNESCO, and was used to film scenes in seasons 5 and 6 of the wildly popular Game of Thrones TV show. Check out the palace and pretend you’re Khaleesi for a day. If you want to see some of the vibrant culture that Seville has to offer, go to the Museo del Baile Flamenco to stroll through the museum, and watch a live flamenco show from some of the best talent in the area. Flamenco is a huge part of the culture of the south of Spain, so this museum is a must see! If you feel like getting in touch with Seville’s Roman roots, stop by Italica, the stunning series of Roman ruins that include mosaics and a huge amphitheater. Does Seville sound like the destination of your dreams? Perfect, because here at Citylife MAdrid we offer serveral trips to Seville, and we want you to join us! Check out more information at our trip calendar, and sign up either online or stop by our office in Calle Gran Vía 22Dpdo – 2nd floor. We are looking forward to exploring Spain with you!